Hulu is incredibly excited to debut its Super Bowl commercial for upcoming original series Castle Rock from J.J. Abrams and the world of Stephen King. Make sure to tune in to the big game this Sunday! Castle Rock premieres Summer 2018, only on Hulu. 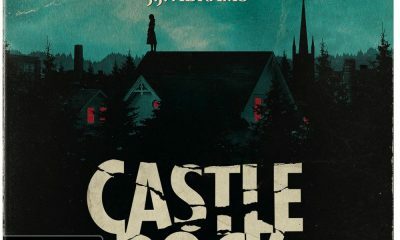 A psychological-horror series set in the Stephen King multiverse, Castle Rock combines the mythological scale and intimate character storytelling of King’s best-loved works, weaving an epic saga of darkness and light, played out on a few square miles of Maine woodland.The series stars André Holland, Melanie Lynskey, Sissy Spacek, Billy Skarsgård, Jane Levy and Scott Glenn. Sam Shaw & Dustin Thomason developed the project for television and serve as executive producers along with J.J. Abrams, Ben Stephenson and Liz Glotzer. Castle Rock is from Bad Robot Productions in association with Warner Bros. Television.